"Alexis Clark illuminates a whole corner of unknown World War II history." " A]n irresistible human story. . . . Clark's voice is engaging, and her tale universal." 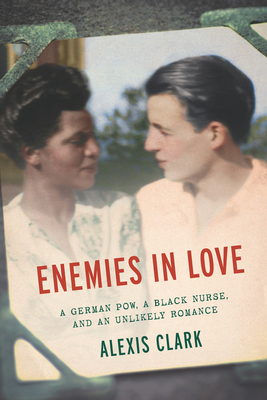 This is a love story like no other: Elinor Powell was an African American nurse in the U.S. military during World War II; Frederick Albert was a soldier in Hitler's army, captured by the Allies and shipped to a prisoner-of-war camp in the Arizona desert. Like most other black nurses, Elinor pulled a second-class assignment, in a dusty, sun-baked--and segregated--Western town. The army figured that the risk of fraternization between black nurses and white German POWs was almost nil. Based on a New York Times story by Clark that drew national attention, Enemies in Love paints a tableau of dreams deferred and of love struggling to survive, twenty-five years before the Supreme Court's Loving decision legalizing mixed-race marriage--revealing the surprising possibilities for human connection during one of history's most violent conflicts.